The Mekong Delta city of Can Tho, an economic hub of the Mekong Delta, is expected to become a startup valley in the Mekong Delta region by 2020. 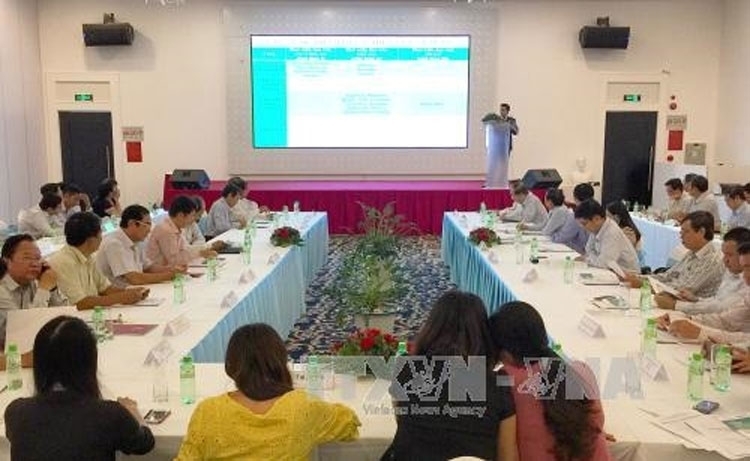 The goal was made at a workshop on “Vietnam Startup Index 2015/2016” held on December 13 by the Vietnam Chamber of Commerce andIndustry (VCCI) Can Tho branch and the municipal of Department of Planning and Investment in the city. The workshop focused on measures for startup development in Can Tho based on the startup situation in Vietnam in 2015 - 2016. Can Tho had 67,000 enterprises and business households as well as 221 cooperatives in 2016, contributing 4 trillion VND to the local budget and providing over 125,000 jobs, said Nguyen Thanh Dung, Vice Chairman of the municipal People’s Committee, adding that the city’s economy steadily grew at 5.88 percent per year, ranking 14th among 63 cities and provinces in competitiveness. However, a lack of a comprehensive legal framework and stable government investment has posed challenges to local startups. They also lack confidence, experience and creativity. To tackle these problems, the city is advised to create a creative environment while promoting training programmes for startups and businessmen, said Truong Quoc Trang, Deputy Director of the municipal Department of Planning and Investment. He added that a training course themed “Your startups” will be held by the department and the VCCI Can Tho chapter in 2017. The course is expected to provide basic skills and knowledge on startups for youths. Meanwhile, the municipal Department of Science and Technology will coordinate with the city’s VCCI to create and expand a working space network and suggest business directions for startups, said Tran Hoai Phuong, the department’s Deputy Director. Startup competitions will be held to encourage enterprises to exchange their experience, he added. A support foundation will be founded by the VCCI with a targeted budget of 10 billion VND in 2017 – 2020 to support infrastructure construction and training programmes, according to Vo Hung Dung, Director of VCCI Can Tho chapter. The foundation will call for government financial support and investment of big businesses to professionalise startups.